O]ne important aspect of the debate over “diversity of tactics” (i.e. the decision whether to be exclusively nonviolent) in the Occupy movement relates to mounting evidence of the role CIA and Pentagon-funded foundations and think tanks play in funding and promoting nonviolent resistance training. The two major US foundations promoting nonviolence, both overseas and domestically, are the Albert Einstein Institution (AEI) and the International Center for Nonviolent Conflict (ICNC). Both receive major corporate and/or government funding, mostly via CIA “pass through” foundations. While the ICNC is funded mainly by the private fortune of hedge fund billionaire (junk bond king Michael Milken’s second in command) Peter Ackerman, the AEI has received funding from the Rand Corporation and the Department of Defense, as well as various “pass-through” foundations, such as the National Endowment for Democracy (NED), the International Republican Institute (IRI), the US Institute of Peace and the Ford Foundation (see The Ford Foundation and the CIA),which all have a long history of collaborating with the Pentagon, the State Department and the CIA in destabilizing governments unfriendly to US interests. This is a strategy Frances Stonor Saunders outlines in her pivotal Cultural Cold War: The CIA and the World of Arts and Letters. According to Sanders, right wing corporate-backed foundations and the CIA have been funding the non-communist left since the late sixties, in the hope of drowning out and marginalizing the voice of more militant leftists. It’s also noteworthy that the governing and advisory board of both AEI and ICNC have been consistently dominated by individuals with either a military/intelligence background or a history of prior involvement with CIA “pass-through” foundations, such as NED and USAID. Much of this debate focuses around America’s godfather of nonviolent resistance, Gene Sharp, the founder and director of the Albert Einstein Institution. 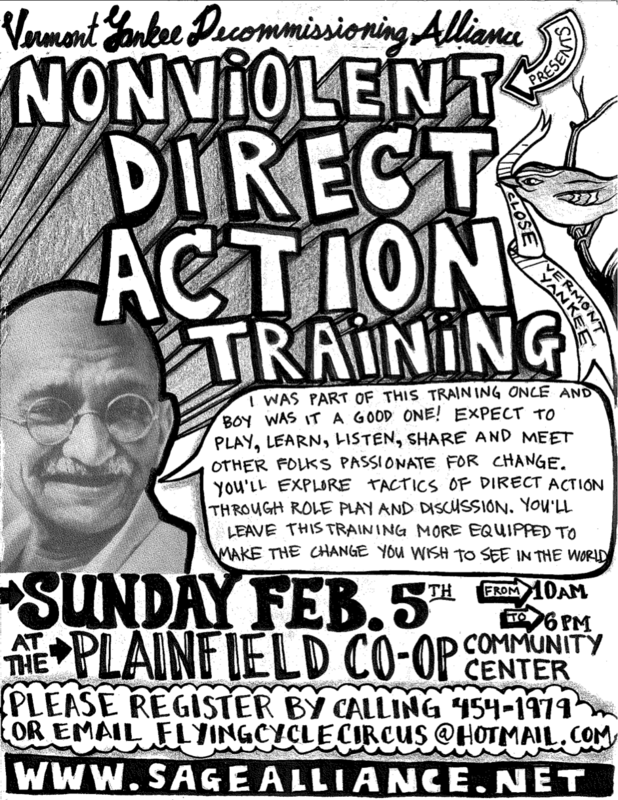 Sharp’s handbooks on nonviolent protest were widely disseminated in the Eastern Europe color revolutions, in the Arab spring revolutions and in the Occupy movement in the US (see Nonviolence in the Service of Imperialism). Unfortunately Sharp has become a decoy in this debate, deflecting attention from the larger question of whether the US government is actively financing and promoting the work of the AEI, the ICIC and other high profile organizations that promote nonviolent civil disobedience. The question is extremely important, in my view, because it possibly explains the rigid and dogmatic attitude in the US progressive movement regarding nonviolent civil disobedience. In other words, I think it explains the knee-jerk rejection of more militant tactics, such as smashing windows and other property damage that don’t involve physical violence towards human beings. Is Military-Intelligence Funding Compatible with Progressive Politics? The institutional nonviolence clique has cleverly refocused the debate on whether Sharp, who is 83, is a CIA agent and whether he actively participated in US-funded destabilization efforts in Tunisia, Syria, Egypt, Libya, Iran and elsewhere that resulted in so-called “Arab Spring” revolutions. The obvious answer to both questions is no. For me the more important question is why the alternative media and “official” progressive movement embrace Sharp unconditionally as a fellow progressive without a careful look at his past or his ideological beliefs. Sharp has never made any secret of his fervent anticommunist (and antisocialist – he shares the US State Department’s animosity towards Venezuelan president Hugo Chavez) views. Sharp makes no secret of the funding he has received from the Defense Department; the Rand Corporation; CIA-linked foundations, such as NED, the IRI and the US Institute of Peace; and George Soros’s Open Society Institute. All this information is readily available from the AEI website. Sharp himself states, “I have been arguing for years that governments and defense departments – as well as other groups – should finance and conduct research into alternatives to violence in politics and especially as a possible basis for a defense policy by prepared nonviolent resistance as a substitute for war.” (See The living library: some theoretical approaches to a strategy for activating human rights and peace, George Garbutt, 2008, Southern Cross University). Less well known is the role military and intelligence figures have played in helping Sharp set up and run the AEI. I think most progressives would be extremely disturbed by the major role played by the military-intelligence establishment in funding and running the AEI. I think they would find it even more troubling that progressives who refer to any of this on so called “independent” or “alternative” media websites and blogs have their posts removed.